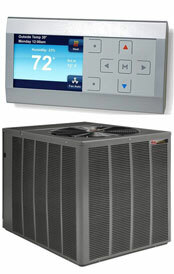 ENERGY STAR – Rheem one of most efficient! Check this out! 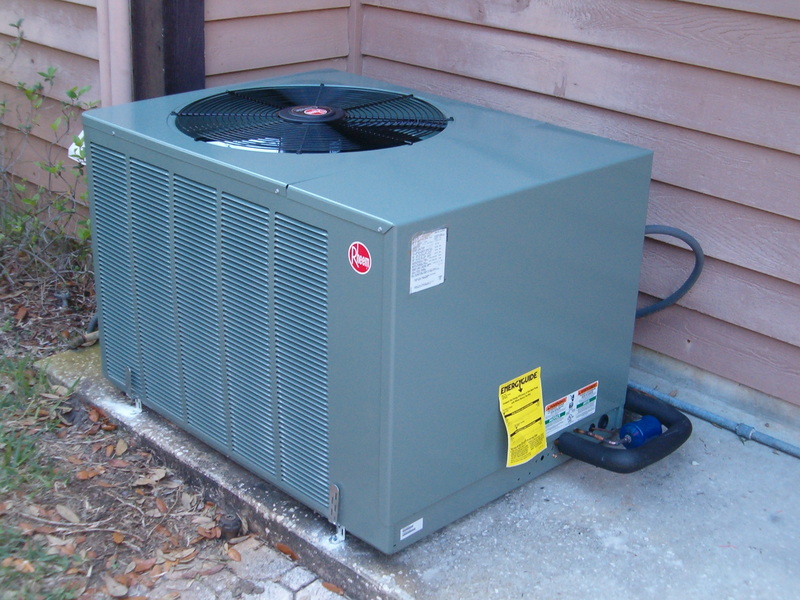 ENERGY STAR [has ratings for all/most of your household appliances, shows how energy efficient they are] has Rheem on their list for most efficient HVAC systems! Serial communication, advanced diagnostics, active system monitoring & protection, and “call for service” notification. The 16 SEER RRRL Package Gas/Electric units feature earth-friendly R-410A refrigerant. The RRRL Models have added features that include: On demand dehumidification, standard stainless steel heat exchanger, two stage gas heat, and ECM motor with adjustable airflow in both heating and cooling to 1.0” SP static capability. This platform provides you with a full line of capacities that are each AHRI-certified. The design is certified by CSA International. MCDONOUGH, GA., May 22, 2012—Last month, Rheem distributor Hughes Supply opened a new PROSTOCK location just 30 miles south of Atlanta in McDonough, Ga. Hughes Supply provides residential, commercial, light industrial, institution and government plumbing supplies, as well as a complete line of commercial and residential HVAC supplies. The McDonough PROSTOCK location represents the first time that Rheem and Hughes Supply have collaborated to open a PROSTOCK storefront, and both companies eagerly anticipate working together again in the future. Rheem and Hughes Supply are already in the process of converting another store in Georgia into its next PROSTOCK location. Hughes Supply owns more than 75 stores throughout 12 states, including Alabama, Arizona, Colorado, Florida, Georgia, Indiana, Kentucky, Mississippi, North Carolina, South Carolina, Texas and Virginia. PROSTOCK stores offer replacement parts directly from the original equipment manufacturer (OEM), Rheem, as well as aftermarket parts and supplies for professionals that install, maintain and service HVAC and water heating equipment. Rheem is one of the few manufacturers in the country offering a retail presence to meet the needs of HVAC and plumbing contractors. On Thursday, April 12, PROSTOCK and Hughes Supply hosted a grand opening event for contractors in the McDonough area. The event included a ribbon-cutting ceremony and also featured a catered lunch from Atlanta’s famous drive-in, The Varsity. Hughes Supply conducted a grand-prize drawing at the event, where one lucky contractor won a new Apple iPad®, and the company also provided giveaways to attendees. A number of company representatives from Hughes Supply participated in the grand opening event, including Steve Ferry, Hughes Supply division president; Brad Davis, regional manager, Georgia; Dennis Williams, southeast HVAC business manager; Brian Wisener, manager, McDonough; Xavier Patillo, counter/PROSTOCK manager; Rick Partridge, outside sales; and Terrance Hayes, logistical sales. Beth Childress, manager of store development for PROSTOCK, and Mike Himel, Rheem’s southeast district parts manager, traveled to Georgia to attend the event. The McDonough store is located at 120 Westridge Industrial Boulevard, and it is open from 8 a.m. to 5 p.m., Monday through Friday. More information can be found on Hughes Supply’s website, http://www.hughessupply.com. 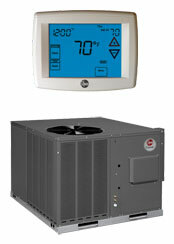 Rheem Manufacturing Company (http://www.rheem.com) is privately held with headquarters in Atlanta and U.S. operations in Alabama, Arkansas, California, Indiana, Minnesota and North Carolina. In its 87th year of operation, the company manufactures a full-line of eco-friendly, technologically advanced residential and commercial heating and cooling systems; tank, tankless, solar and hybrid heat pump water heaters; whole-home standby generators, controls, swimming pool and spa heaters; indoor air-purification products; and commercial boilers throughout North America and world markets. 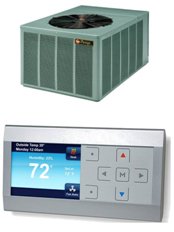 The company’s premium brands, including Rheem, Raypak, Ruud and Richmond have been recognized with countless industry and consumer awards for reliability, innovative design and high quality. Rheem is a primary sponsor of Richard Childress Racing’s® (RCR) No. 29 NASCAR Sprint Cup Series® car, driven by Kevin Harvick. Rheem also supports the NASCAR Nationwide Series® through its co-sponsorship with Menards® of RCR’s No. 33 Chevrolet. Finally, Rheem will embark on a new primary sponsorship with Eddie Sharp Racing® (ESR) of the No. 33 Chevrolet Silverado that will compete in the NASCAR Camping World Truck Series® in 2012. What does this mean for you? Faster turnaround time for parts!